Whether you realize it or not, you are already familiar with this group of plants. These are blueberries. They belong to the same family (Ericaceae) that includes Rhododendrons, azaleas, heathers, mountain laurel, Pieris, and edible crops like cranberry, lignonberry, bilberry and, of course, the temperate zone blueberries that you put on your morning cereal. 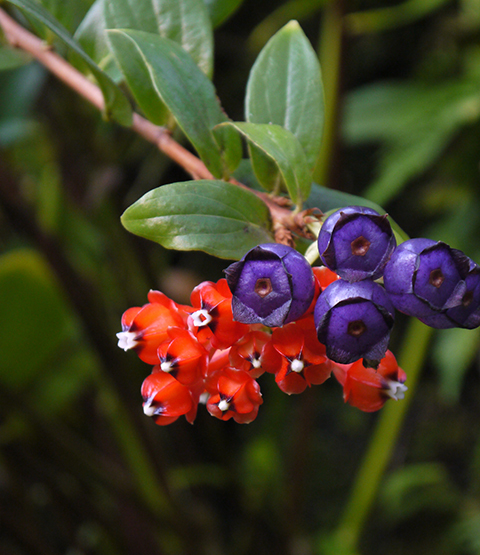 The blueberries pictured above grow in the tropics of Central and South America. 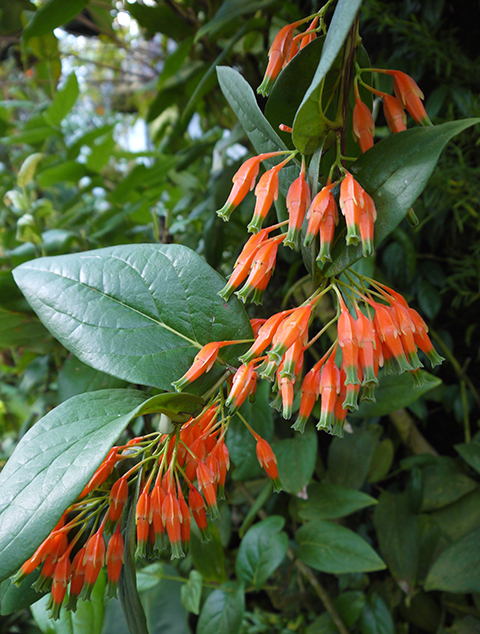 Their vivid flowers are the precursors of large fleshy berries, usually white or purple. Beautiful, yes. Great tasting? Well...I would describe them as faintly sweet, but without a distinctive flavor. I won't be making a pie out of them. But wait. In July of this year researchers at Lehman College and the New York Botanical Garden announced that tropical blueberries have two to four times more antioxidants than U.S. blueberries. Consumption of antioxidants is associated with a low incidence of some chronic diseases and may help protect against heart disease and cancer. Anthopteris wardii, pictured above, along with Cavendishia grandifolia, are the two species that the researchers found to have the highest amounts of antioxidants. "We consider these two species of neotropical blueberries to be extreme superfruits with great potential to benefit human health," said Dr. Edward Kennelly of Lehman College in a statement. You can see Anthopteris wardii, Cavendishia grandifolia and a dozen or so other neotropical blueberries in our Tropical High Elevation House.